Kapila Theertham is located in Tirupati town. It is on the way while going to Alipiri, the foot hills of Tirumula. Sri Kapileshwara Swami Temple is the temple dedicated to Lord Siva. Lord Siva is the presiding deity of this temple and it is said to be the only Shiva temple amidst the Vaishnava temples. 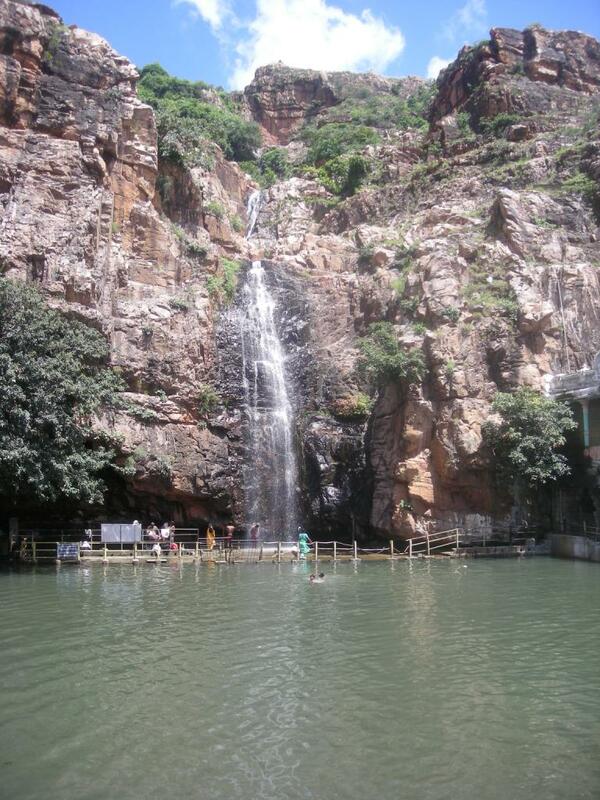 It is said to be one of the 108 sacred teerthas (Springs) on Tirumala hills. According to Puranas 'Kapilamuni' of 'Paataala' (under-world) originally worshipped the Linga at Kapila Theertham. Lord Shiva is said to have blessed Sage Kapila with a vision of himself and his consort etc. But for some cause the Kapila Lingam pierced up through the earth to its surface, 'Suras' (Devatas) started worshipping it. It is also said that even before the Linga forced itself up, the Kamadhenu (celestial cow) made her way through a hole to the earth and took form here. The Shiva Lingam is made of brass in one of the shrines of Kapila Teertham. In front of Kapila Lingam lies a very sacred 'Sarovara' (lake), which is the 'Bilam' (cavity) through which 'Kapila Maharshi' came to earth. A spring falls on the temple. Both the temple and the waterfall are considered to be highly pious. A holy dip here is believed to confer maximum benefit and rid the devout of sins. Bhavishyottara Puranam says that Vakuladevi , before going to Aakaasha raja to discuss Srinivasa’s (Lord Balaji) marriage to Padmavathi, had a sacred bath in Kapila Theertham, as ordained by the Lord. There is another belief that during Karthika month (in the month of November), on the full moon day, all the teerthas (holy places or Pilgrimage centres) situated in the three worlds merge into this Kapila Teertham at noon for ten Ghatikas (Indian measure of time equal to 24 minutes). Hence, bathing in this teertham during that auspicious time is considered holy. It is said one will attain salvation from the cycle of births and deaths. Though this is a Shivaite temple amongst the Vaishnavites, Kapila teertham has its own importance. There are some Sevas conducted at the temple where devotees can take part paying some amount. The temple opens early in the morning, closes down in the afternoon for sometime, and then reopens in the evening. There are some festivals like Vinayaka Utsavam, Annaabhishekam, Karthika Deepam, Maha Shivarathri etc., celebrated in the temple for which thousands of devotees take part. 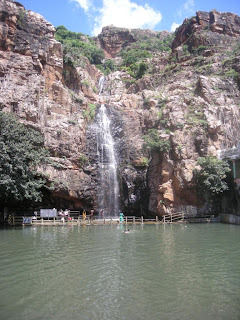 Kapila Theertham is suituated 3 km from Tirupati on the way while going to Alipiri (Tirumala). You can take the local transport to reach Sri Kapileshwara Swami temple. There are regular city buses and autos that provide the means of conveyance to reach Kapila Theertham. is it possible to do bath at morning time 4,5,6 o clock here.or Temple will be closed? Copyright © 2011 Tirumala Tirupati. All Rights Reserved.